Instagram hashtags help us find content on Instagram. With them, we can more easily find posts, people, places, trends, brands, businesses, etc. With over 1 billion users, millions of Instagram hashtags are created each serving a unique purpose, e.g. hashtags for brands, lifestyle, fashion, nerds, geeks, sewing, stitching, name it. Some hashtags clearly perform better than others judging by the number of times they’ve been used/posted. Hashtags like #thanos #ironman #chrishemsworth #avengers etc. are enjoying a great deal of attention at the moment. Other Instagram hashtags enjoying popularity include fitness hashtags and book-related hashtags. #bookstagram is one such hashtag you should check out. The best way to achieve success with Instagram hashtags is by identifying the right ones to use, how to use them and when to use them. The hashtag #love is one of the most loved Instagram hashtags with over 1.4 billion posts and counting. Another popular Instagram hashtag is #instagood, with over 900 million posts. These are popular hashtags and as such can gain you a few fans here and there but may not be like these top Instagram hashtags for likes because #love and #instagood are in heavy use and hence competition is high. It’s difficult to be found via search among billions of other posts using the same hashtags. Differentiation, on the other hand, will help you stand out and be found out more easily. For instance, if you’re a creative fashion outfit, you could try other less competitive long string variations of #love like #rockitwithlove, #madewithlove, etc. Instagram is a very visual platform, it is, therefore, no surprise that Instagram hashtags related to photography make the top cut. With different types of photos and photography styles such as portraits, wildlife photography, street photography and so on, distinct Instagram hashtags portraying the different types of photos taken are available. Most common photography hashtags include #streetphotography #weddingphotography #photography #canon #naturephotography #photographer. Besides these Instagram hashtags mostly used by professional photographers, others exist such as #picoftheday or #photooftheday that people use for their daily photo posts. #travel is among popular Instagram hashtags which have traveled far and wide, thanks to Instagrammers who love to travel and document their journeys via photos and videos. #travel #nature #adventure #life and #travelgram. You can encourage your staff to post about their adventures and travels when they’re on official trips, vacations or getaways using such Instagram hashtags or close variations. Instagram hashtags featuring giveaways are great for creating awareness and generating interest. Giveaways are a nice way of letting people know about your business because (nearly) everybody loves free. It is an effective marketing strategy especially on social media where you can get users to equally spread the word via digital word of mouth. Small businesses can use Instagram hashtags like #weeklygiveaway, #takeourgiveaway, and other succinct combinations. Successful giveaways can earn you more likes, followers plus increase engagement and repeat visits by followers looking for the next giveaway. Everyone chooses to live their life a certain way and are interested in connecting with others who share a similar passion or lifestyle with them. Using particular Instagram hashtags make this possible. Crossfit and Fitness hashtags are some of the more popular ones as more and more people try to live healthier and longer lives as much as they can. There are plenty of other such Instagram hashtags you can use like #luxurylifestyles, #lifeinDubai,#Entrepreneurlifestyle among others. Whether you’re an individual or business you can use lifestyle hashtags to find and connect with others with similar interests. Instagram hashtags for blogging are also big because blogging is big. There are fashion bloggers, sports bloggers, food bloggers, lifestyle bloggers, finance and travel bloggers, and so much more. On Instagram, they identify and connect with each other using specific Instagram hashtags like #fashionblogging or #fashionblogger for fashion bloggers for instance. Whatever your niche or content type, using the right Instagram hashtags for it can help you increase visibility, reach and following. What’s trending is what’s hot and happening right now. Instagram hashtags that are trending are those you might want to consider using every now and then. It could be a news story that’s trending, a short clip that went viral or some anticipated product release that’s trending (think iPhone). #EggGang is among Instagram hashtags that have trended in recent weeks pushing @world_record_egg to the top of Instagram charts, thanks to the photo of an egg it posted to oust Kylie Jenner’s baby’s photo as the current most liked the Instagram post. Cashing in on trends is a smart way of using trending Instagram hashtags to your advantage. #Thanksgiving, #Christmas, #4thofJuly, #MothersDay, #FathersDay are some notable Instagram hashtags among the many others we use to commemorate special days or events. Instagram activity picks up and peaks on such days with billions of posts echoing the relevant Instagram hashtags for the day. Hashtags like #WorldCancerDay are also used to create awareness about diseases, how to prevent, manage or treat them. Instagram hashtags for these special days always make it to the top, even if for a day. Best times to use such hashtags are the d-day, main day (best day) and the day after. Social media is often a numbers game for businesses and individuals. Influencers, for instance, are easily identified by the size and spread of their following. Those with a really huge following can easily create and make Instagram hashtags go viral. 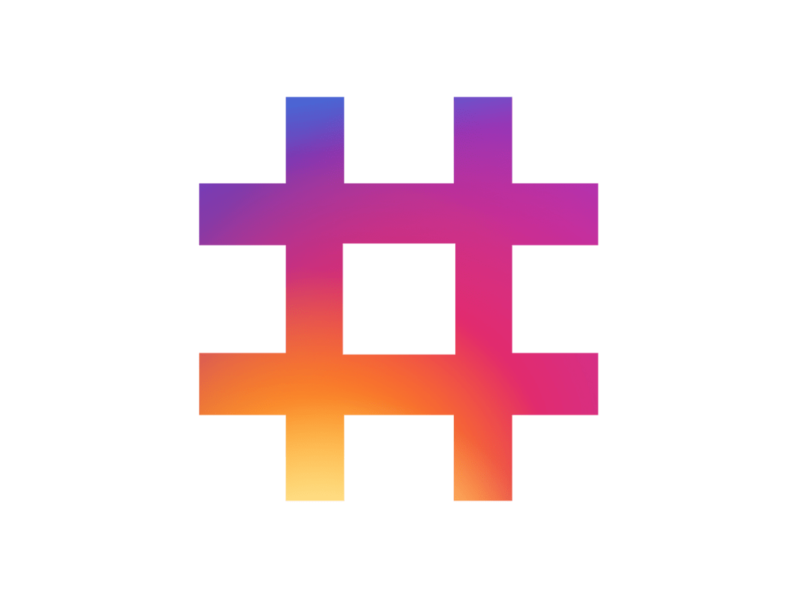 One of the ways to create a huge following, deep engagement, and more mentions is by using the right hashtags for every single post you put out. You need to know them and know exactly when and how to use them in your posts to achieve maximum engagement and results. Amos Onwukwe is an AWAI trained Business and Ecommerce Copywriter who has been featured in scores of blogs including Huffington Post, Dumb Little Man, E-commerce Nation, eCommerce Insights, Understanding E-commerce, Result First, Fellowship, Successful Startup 101, Small Biz Club, Small Business Bonfire, among others.